Supernatural lets Lucifer strike back and take the spotlight as he tries to use his latest vessel to gain new followers. Lucifer likes to be worshipped and adored by as many people as possible so connecting that to the notion of celebrity and how the public follows famous people is really natural and I’m surprised this show hasn’t done it before. Lucifer is a natural fit to do this as he has the ability to rally people around him and become more dangerous with an army of loyal people hanging on his every word. It’s a shame that such a good idea isn’t executed as well as it could be. There was a lot of fun to be had with the concept that the episode does have plenty of fun with it though only on a superficial level. The main problem with it is that Lucifer’s desire to be worshipped isn’t really in service of anything other than a simple desire to be worshipped. In better circumstances that would be enough but it ends up feeling a little disjointed here. On paper it’s all great. Rick Springfield has charisma for days and presents a really fiery version of Lucifer that feels different enough to the more measured and mischievous Mark Pellegrino version while still being recognisably the same character. It’s a tough one to pull off but everything about him screams Lucifer despite the personality changes. The whole worship idea is a strong one as well and tackling it through Lucifer trying to become a hit with audiences has so much potential. Doing so through music is another great idea as it is in the DNA of this show and always has been. Lucifer’s vessel is an interesting choice for that reason. It’s especially hilarious that Dean can’t stand the music as that’s pretty much the opposite of what I would expect. Sam disagreeing with him on that only makes it funnier and injects the necessary humanity into the story as Sam and Dean bickering is always good fun. One issue the episode has is that the attempt to make Lucifer famous feels very superficial as I said above. Mentions of social media and other celebrities strike me as an attempt to create some kind of shorthand that means the writers don’t have to go into very much detail when exploring this but it doesn’t really work. Letting us know that Lucifer wants to be like Kim Kardashian is all well and good but we don’t really see how he goes about this. All we see is people talking about it after the fact which doesn’t become entertaining in itself. Rick Springfield’s performance gets around some of it but there are definite gaps there. I feel that this episode is designed to set a new status quo around Lucifer. It’s possible that he was going to be the big bad for this season but there was no clear idea of how to do that. I thought that gaining followers and rebuilding his strength that way would be a natural way for him to build up to the priority problem for Sam and Dean this season. In theory subverting that by showing that he has no plan at all and is just scrambling from vessel to vessel trying to find something that sticks is a good idea but in practice Lucifer feeling directionless makes the show feel directionless. The idea of Lucifer lashing out because he has no plan is something I do like and the fact that a lot of people died for essentially nothing is appropriately shocking. Lucifer’s speech at the end of the episode almost redeems the whole situation. Hearing him talk about how he doesn’t feel that God was sincere when patching up their relationship along with how pointless he finds everything is really powerful and shows how he has given up hope of amounting to anything worthwhile since he feels that the world he lives in is basically worthless. It all feels like a game to him so he’s going to treat it like one. 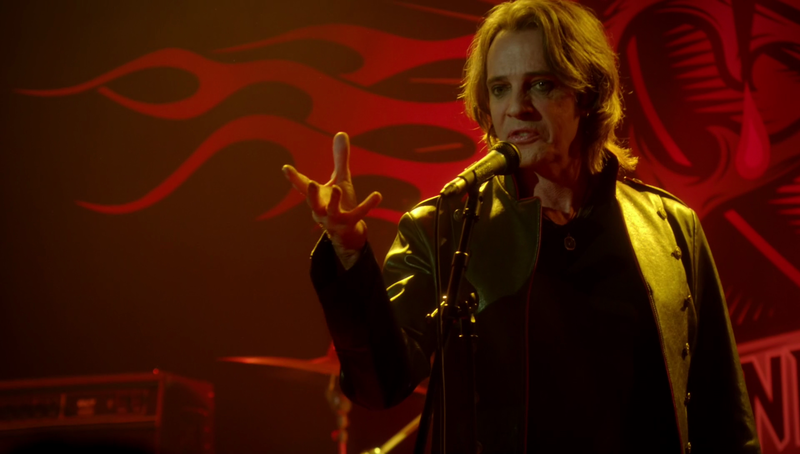 Rick Springfield’s performance in this scene was excellent and Lucifer’s vessel coming apart as he spits out the words adds extra weight to the words. Sam and Dean’s argument about the loss of human life is also really well done with Dean losing sight of the human cost to this whole thing because he can’t stand the vessel’s music. Sam puts him in his place and reminds him that Vince was a human being and deserves a certain amount of respect as do those who lost their lives. Sometimes Dean can be harsh and cold but Supernatural has become more about saving lives in recent times so it’s important that Sam and Dean don’t lose sight of that. Maybe Lucifer’s unpredictability will be an asset and allow him to show up at random points to cause more trouble but we shall see. 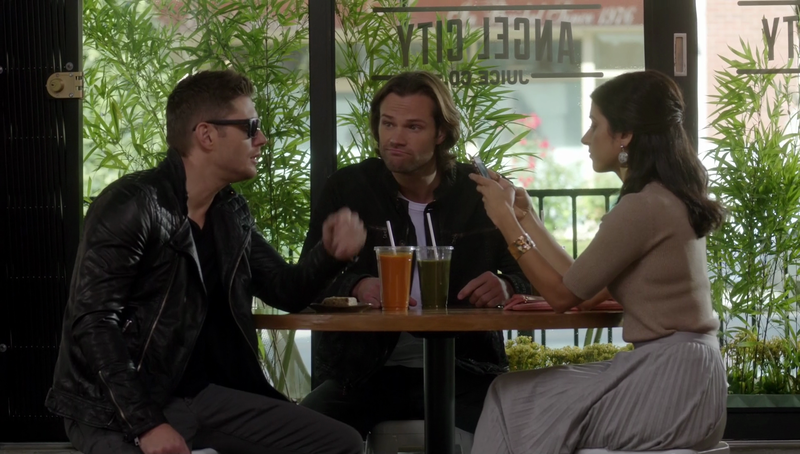 Some of the episode was redeemed by really fun touches like Dean coming around to the idea of drinking the cucumber water or Sam and Dean pretending to be rock stars when looking for information. Dean’s obvious disgust at being in L.A. was great to see as well. It’s a shame that there weren’t any references to the TV show Lucifer given the setting now that I think about it. 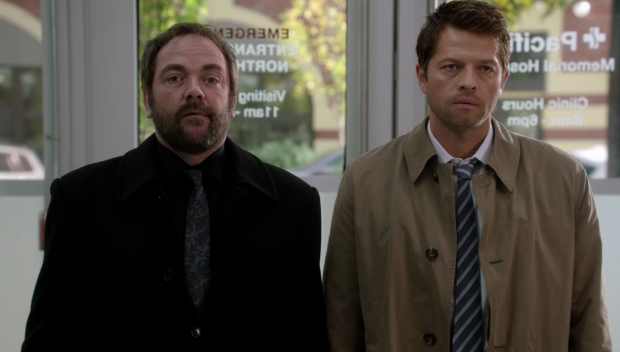 Castiel and Crowley are still a fun pair to have as a team. I really liked the angle that Castiel was tired of spending time with Crowley who can become annoying very quickly. Their team-up seems to have them essentially living in each other’s pockets and that’s something that Castiel really struggles with. It’s a fun dynamic and the actors clearly have a great time with it. One thing that did work really well was the conflict between Lucifer and Castiel. They have a deeper connection after sharing the same body and the way Lucifer anticipated his attacks showed that very clearly. Arguably this could have been deeper and the callbacks to the infamous “assbut” insult felt a bit tacked on but seeing them fight it out was entertaining enough. An uneven episode that has a good performance by Rick Springfield largely wasted in a story that tells us more than it shows us. Lucifer achieving fame and becoming a celebrity is a good idea in theory but the execution left a lot to be desired. The reveal that he has no plan was an interesting one and the random deaths for no particular reason makes him more dangerous in theory since he’s completely unpredictable. The argument Sam and Dean have over the value of life is a powerful one and the episode has some powerful moments but overall the whole thing felt a little superficial.